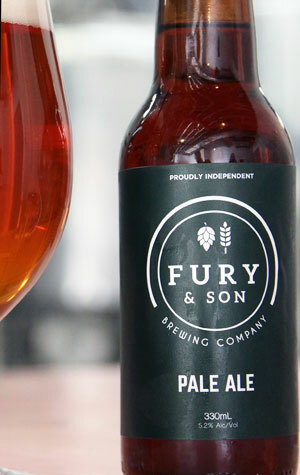 Before returning east to take up the post at Fury & Son, brewer Craig Eulenstein won the title of Champion Small Brewery at the Craft Beer Awards while at The Monk in Fremantle. Clearly, the judges like what he does as this beer – the first brewed at his new Keilor Park workplace – collected a gold medal at the 2016 awards. As hinted at by the Jaguar Racing Green livery it's sporting, it's a pale ale with a fair bit under the hood, an American style pale ale that wanders close to amber territory in terms of colour. The hops come across as candied orange and pine while the dark caramel malts have an equal role to play before a firm bitterness wraps things up.